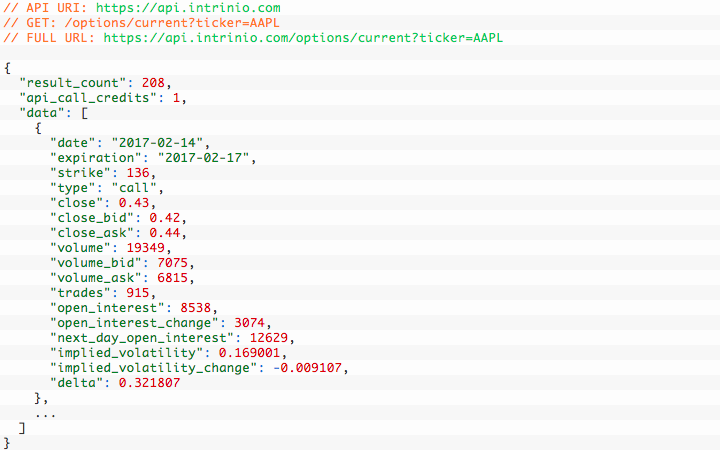 Intrinio provides an end-of-day options prices API via the US Stock Options Prices Data Feed. 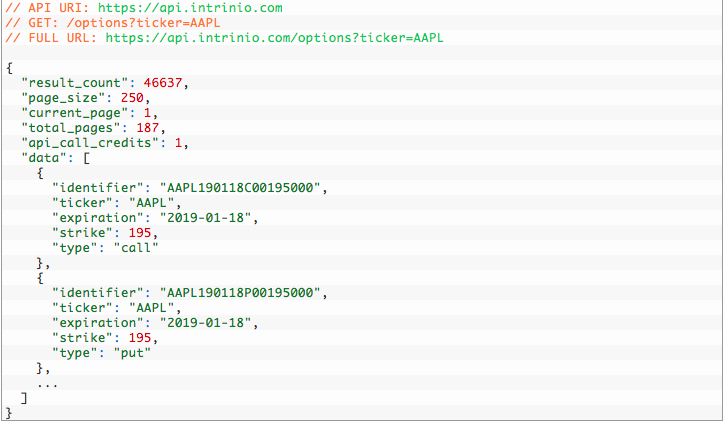 Using our intuitive API, you are able to lookup options contracts for any US security, then see current and historical pricing for those contracts. 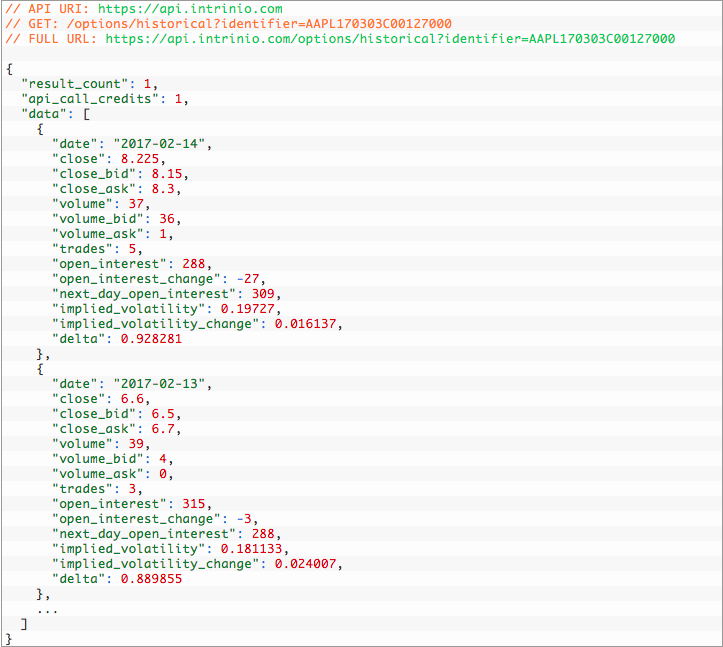 This will return all AAPL options contracts expiring on April 7th, 2017. You can also specify type=put or type=call to filter by contract type. That call will return the price of AAPL's January 18th, 2017 put contract at $195. This format allows you to specify the ticker, expiration, type, and strike price separately. Please refer to the Documentation for this data feed for further details and parameters. Here at Intrinio, we are dedicated to your success. Please feel free to reach out to us with any questions you may have.